One of the first things my Husband Mike and I bonded over was our love of traveling. The first place we went together was New York City and we have been on the go ever since. Our first trip December 2007 on top of the Rockefeller Center. 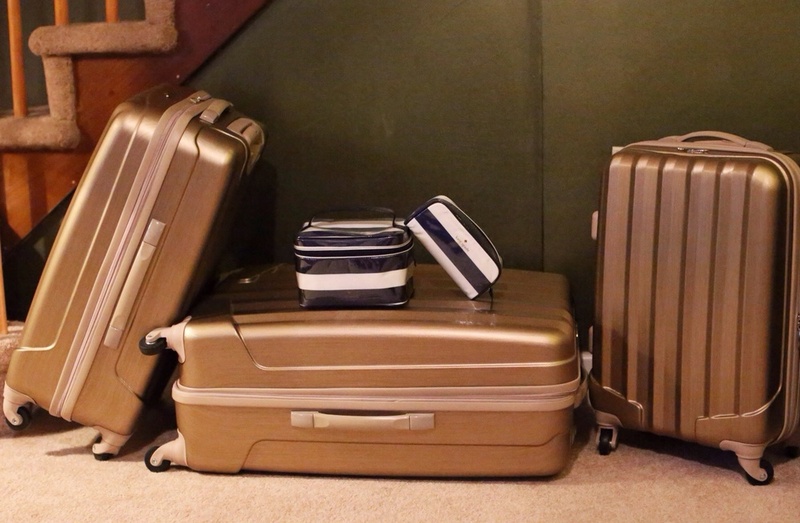 Last Christmas, Mike got me new snazzy luggage. I was a little sad to see my old zebra print go but it was time. www.katespade.com for great make up bags and many other fabulous things. Today, I received my Kate Spade order. The cosmetic case is going to be perfect for travel and the make up bag is great for everyday. I think I'm just about ready for the travels this upcoming year! As I've said before Kate Spade rarely gets it wrong. Their attention to detail is superb! Mike and I love to travel! Here are some photos from our last trip!